As far as car culture goes, Los Angeles has more of it than most cities in the world, so the first city featured in our Petrolicious Automotive Guide had to be the city we call home. 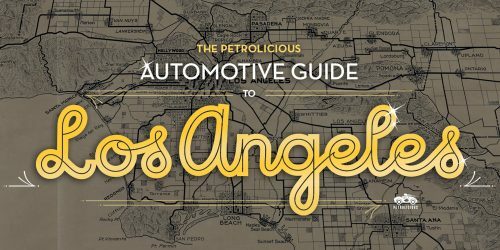 This guide details our recommendations of LA’s best automotive-related and some simply vintage-related things in the city that fit into the Petrolicious lifestyle: museums, shops, drives, tracks, historic locations, meet-ups, and more—all broken down by area. Los Angeles is the second largest city (population-wise) in the United States and rather enormous, geographically speaking, as it can take over three hours to cover the entire metropolitan area by car (east to west or north to south). 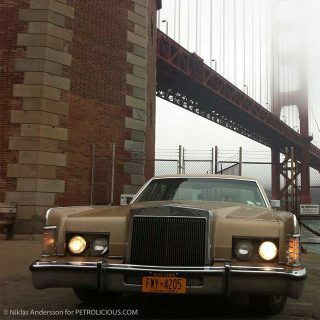 Amongst all of of the traffic and the sprawl, there are so many places for classic car lovers to enjoy. 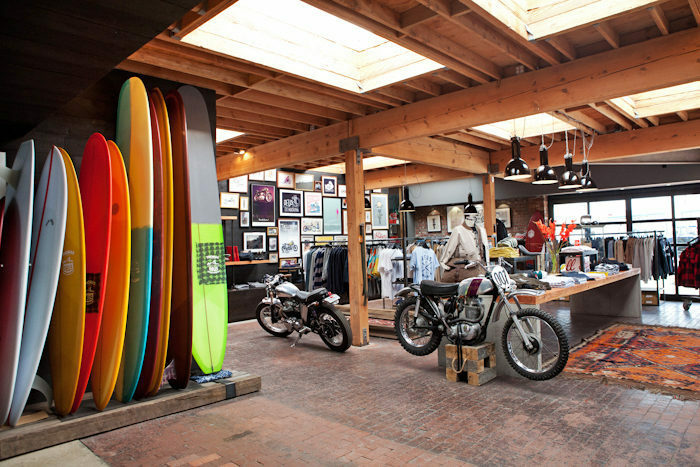 Deus Ex Machina: 1001 Venice Blvd, Venice, CA 90291 – Is Deus Ex Machina a custom bike shop, coffee shop, or surf shop? Yes. Described as an emporium of postmodern activities, you can check out boards, have a cup of joe or fawn over custom bikes. It’s housed in a former gas station, supremely cool, and top it all off they frequently host weekend meets. The End of Route 66: Corner of Colorado Ave and Ocean Ave, Santa Monica, CA – Like so much in Los Angeles, this landmark isn’t even real! The original Rt. 66 terminus is in Downtown Los Angeles at the intersection of Broadway and 7th Street. The ‘Mother Road’ was eventually lengthened to reach Santa Monica, but it never ended at the pier. This somehow occured after a sign went missing and years later was replaced, mistakenly, at the Santa Monica Pier. Oh well, it’s scenic enough. The Eames House (Case Study House #8): 203 Chautauqua Blvd, Pacific Palisades, Los Angeles, CA 90069 – The interior, its objects and its collections of this Mid-Century Modern house remain very much the way they were in Charles and Ray Eames’s lifetimes as a place that gave them a space where work, play, life, and nature co-existed. This place is a treat to visit—the location is beautiful, and the guides have so much knowledge to share about the details and the history. 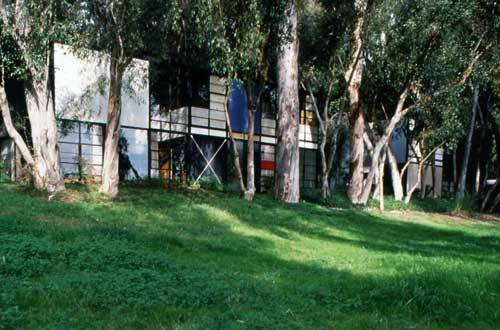 You are welcome to visit the Eames House for an exterior, self-guided tour, although reservations are required. 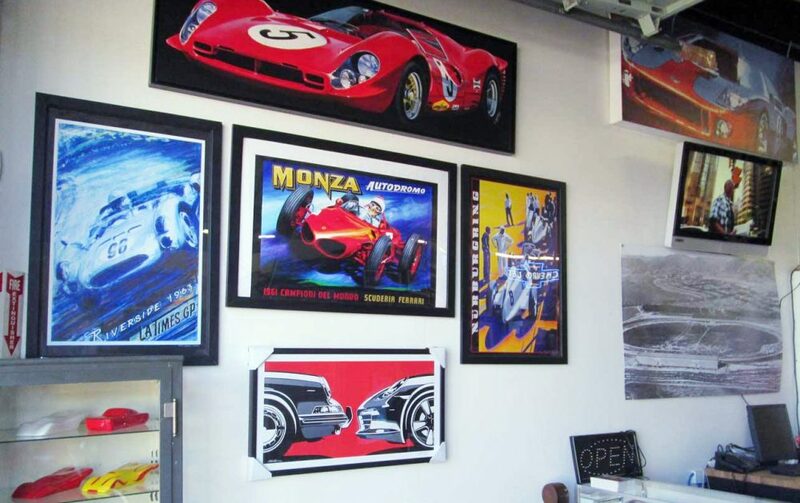 Chequered Flag International: 4128 Lincoln Blvd, Marina del Rey, CA 90292 – Among the best of LA’s many classic car dealerships, their inventory is impressive and if you’re looking for something special, they can usually locate it. 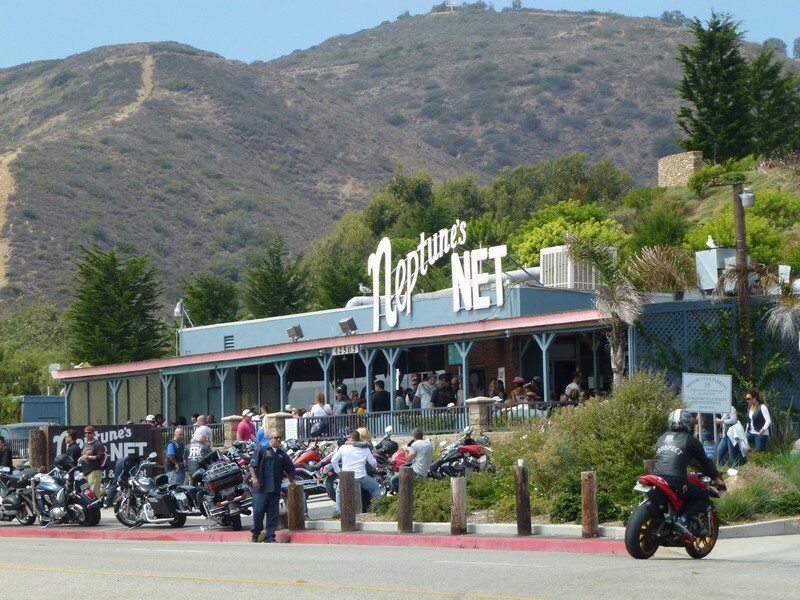 Neptune’s Net: 42505 Pacific Coast Hwy, Malibu, CA 90265 – Starting anywhere in Santa Monica or Malibu on the Pacific Coast Highway, drive north for 25–30 miles enjoying the beautiful views of the ocean. To avoid traffic and get the best PCH has to offer, the best time for this drive would be Saturday or Sunday morning. The restaurant opens at 10 AM, so head up there between 8 and 10, and make a stop or two at the picturesque El Matador State Beach or enjoy the views from the top of Point Dume before continuing up the highway to enjoy lunch at the beachside seafood restaurant. Rustic Canyon General Store and Grill: 2598 Sierra Creek Rd, Agoura Hills, CA 91301 – Called “The Home of the Grillbillies,” the Rustic Canyon General Store and Grill serves specialty coffees as well as huge 1/2 lb Angus Beef burgers and Hot Tri-Tip sandwiches along with a full menu of American, Mexican and BBQ entrees. The Rock Store: 30354 Mulholland Hwy, Cornell, CA 91301 – This is more of a motorcyclist’s destination, but there is a small car scene there and the roads leading up to it are super-fun! Either way, it’s a great excuse to go run around on SoCal’s amazing mountain roads. 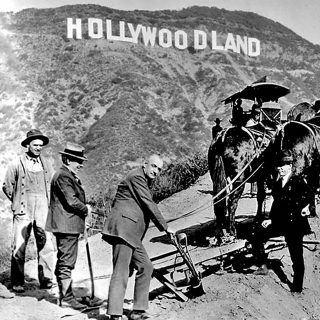 Mulholland Highway: The highway begins close to Topanga Canyon Blvd. about a mile and a half south of US 101. It actually sprouts off of Mulholland Dr. (about half a mile from Topanga Cyn Blvd. and ends in the Pacific Coast Highway across from Leo Carillo State Beach. Tuna Canyon Road: Topanga – This is a one-way, downhill canyon road that becomes increasingly technical as you approach the ocean. There is a yellow line, but on the other side are steep drops rather than cars. Beginning from Topanga Canyon Blvd and turning west onto Fernwood Pacific Dr, continue until it becomes Tuna Cyn Rd. Stunt Road: Calabasas – Beginning off of Mulholland Hwy, Stunt Road includes twenty-six turns, in about five miles, before it becomes Schueren Road. If you take the road all the way down to Pacific Coast Highway via Las Flores Canyon Road, about twice the distance, there are almost seventy more turns (!). Strap in tightly! Decker Canyon Road: And yet another amazing canyon road sprouting off of Mulholland Hwy is Decker Cyn Rd. 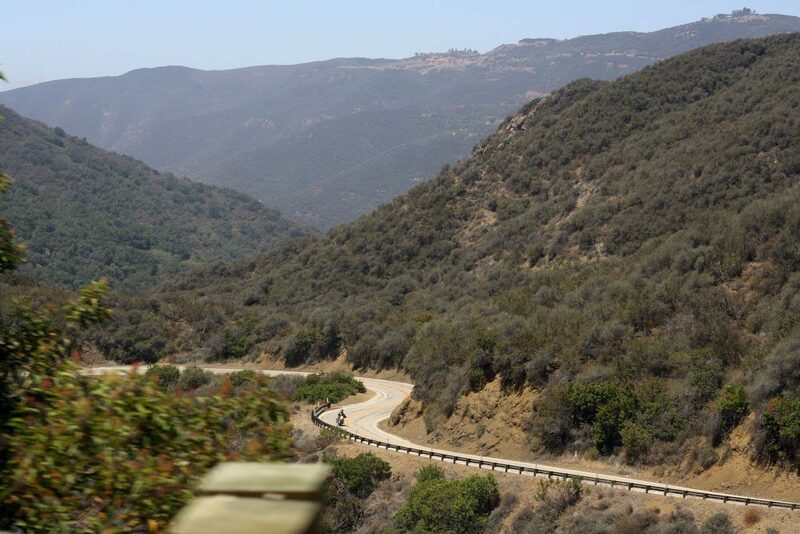 Much shorter than Mulholland Hwy, Decker Cyn features a few long straights where triple digit speeds are more than possible (depending on your car) but also has a few slow hairpins that will test your brakes and nerve. The truth is that no matter which one of these roads you choose, if you’re in these canyons you’ll probably be having fun. 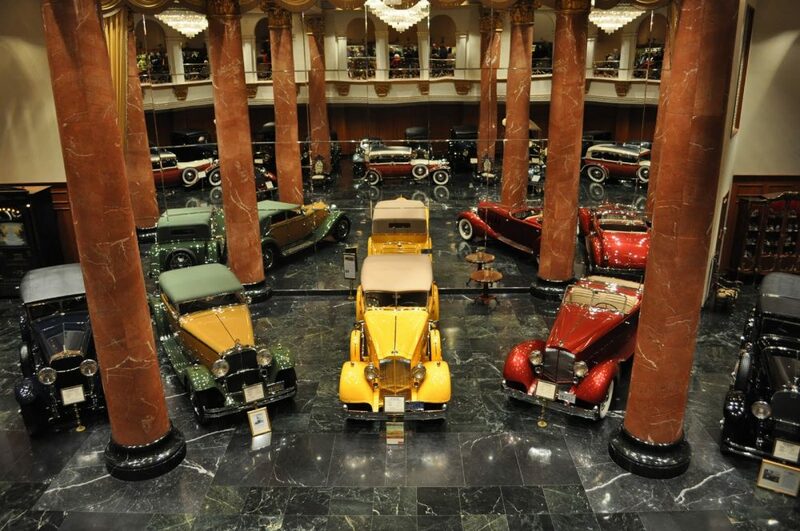 The Cicada Club: 617 S. Olive St. Los Angeles, CA 90014 – Located in the famed Art Deco Oviatt building, downtown Los Angeles’ historic Lalique palace, The Cicada Club is a place fitting for experiencing an elegant, vintage romantic evening. It features dining and dancing on two floors to live bands playing music from the 1920s, ’30s, and ’40s. Of course, vintage attire is preferred and tasteful attire is required. Heritage Classics: 8980 Santa Monica Blvd, Los Angeles, CA 90069 – This is one of our favorite classic car dealerships in town. Drop by to browse the eye candy, then go next door to their bookstore to buy a rare, out-of-print auto book. 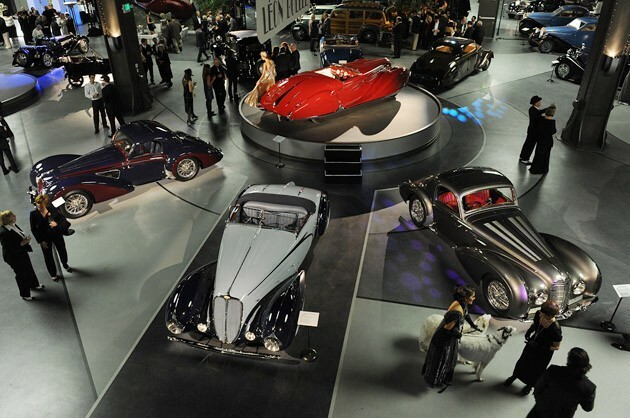 Petersen Automotive Museum: 6060 Wilshire Blvd, Los Angeles, CA 90036 – The most well-known car museum in Los Angeles, the Petersen has regular rotating exhibits and a streetscape diorama. 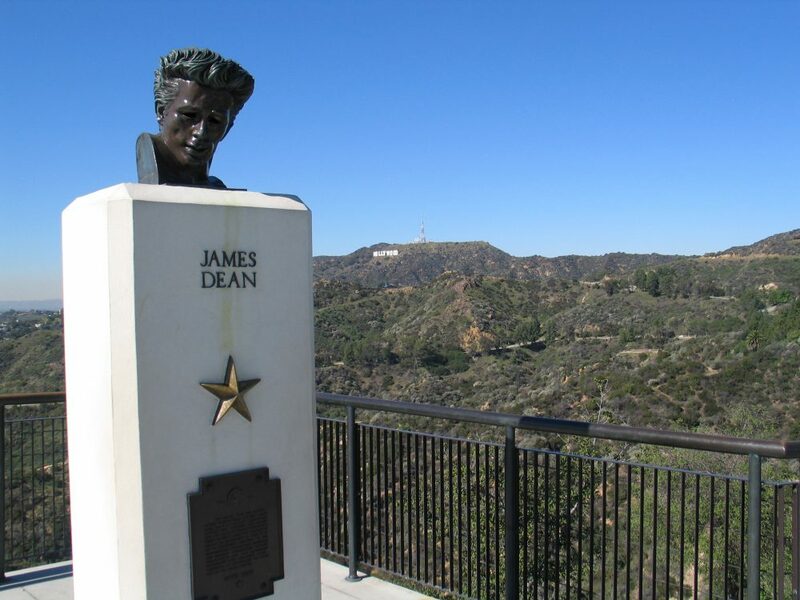 Griffith Observatory: 2800 E Observatory Rd, Los Angeles, CA 90027 – Location of Rebel Without a Cause climactic scene, etc – This is a beautiful place early in the morning when it’s cool or during the sunset views, but beware of traffic getting in and out of the park. You might have to park a mile away and walk up to the Observatory on weekend afternoons or evenings, so a weekday or weekend morning visit might be your best option. The Stahl House (Case Study House #22): 1635 Woods Dr. Los Angeles, CA 90069 – The house is an unlikely icon of Mid-Century Modern design and Los Angeles, perched atop the Hollywood hills, but against the odds it was built and survives. Tours are available but you MUST book in advance. 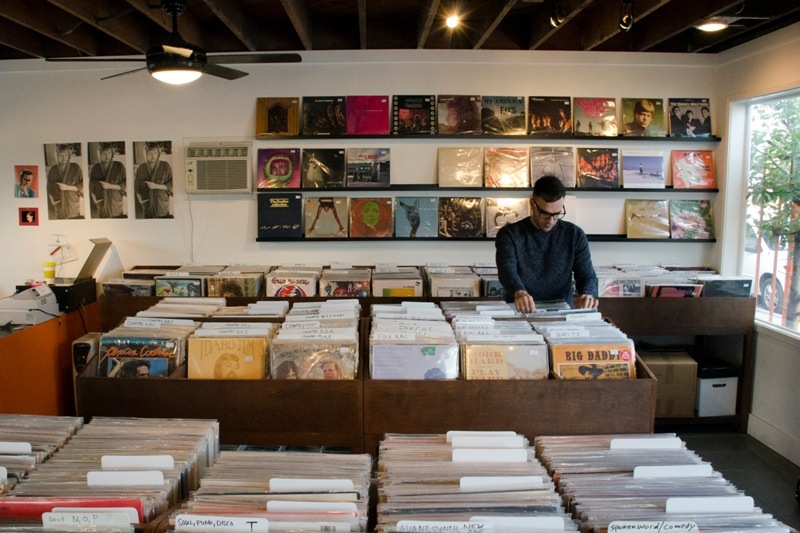 The Record Collector: 7809 Melrose Ave, Los Angeles, CA 90046 – Featuring a collection of unusual and rare classical and jazz records, they boast over half a million records in the heart of Hollywood. A must for serious record collectors. Weidman Gallery: 8272 Melrose Ave, Los Angeles, CA 90046 – What began as a gallery to showcase Mr. David Weidman’s original serigraphs eventually transitioned into a framing shop and later still into a vintage ad-and-film art gallery. They now house one of the largest collections of vintage advertising in Los Angeles and are still family-owned and run. 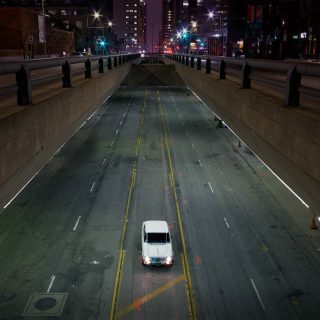 Simply Rent-A-Car: 6303 Wilshire Blvd #205, Los Angeles, CA 90048 – If you’re coming to Los Angeles and want to experience the city in a vintage Mustang, Cadillac or Lincoln, your options are somewhat limited. Simply RAC has you covered, give them a call and book your vintage ride. 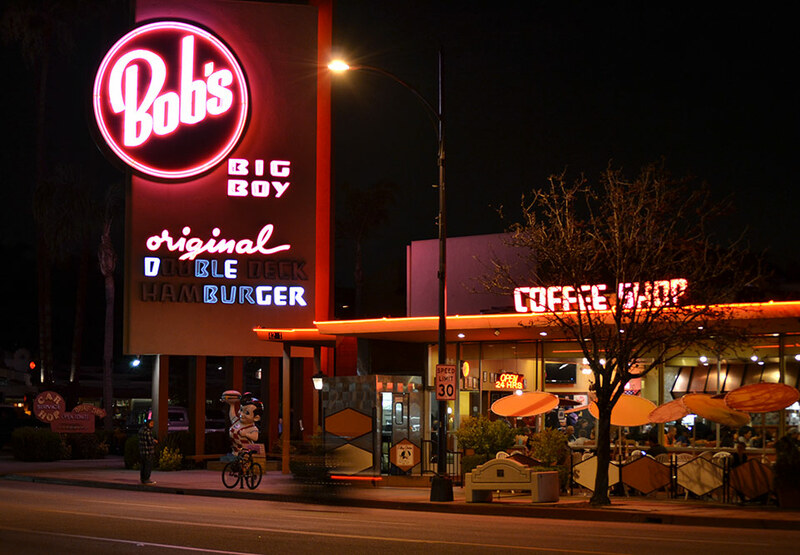 Bob’s Big Boy: 4211 W Riverside Dr, Burbank, CA 91505 – Bob’s Big Boy is the quinissential Southern California hamburger joint. The food is unremarkable, but the Googie architecture is cool and it’s a Valley car-culture landmark. When to go: Friday night, after 5:30 PM all of the local hot-rods, kustoms, and even some imports come by to hang out and grab a burger. It becomes more of a car show than restaurant. Supercar Sunday: 6100 Topanga Canyon Blvd, Woodland Hills, CA 91367 – A weekly Sunday morning meeting for gearheads, where one can see everything from a Giulia Spyder to a Ferrari Enzo to an Outlaw Speedster. The first Sunday of every month hosts a featured marque and you better be there early to get a good spot. The gathering usually begins around 7:00 AM and begins winding down around 9:30. Autobooks-Aerobooks: 2900 W Magnolia Blvd, Burbank, CA 91505 – Founded in 1951 by Harry Morrow, a formula 500 racer, Autobooks has been a Burbank fixture since. In the ’80s the Aerobooks side was added and today Autobooks is both the oldest and largest automotive bookstore in the US and one of the best Aeronautical book stores in the US. World Class Motoring: 28714 Canwood St #112, Agoura Hills, CA 91301 – WCM is a sort of Petrolisti’s supermarket. Their merchandise ranges from collectibles to apparel to garage accessories and even a few tools. They specialize in car care accessories and have products to clean up the interior, exterior, tires, and anything else you might want to wipe down on your car. Paramount Ranch: 2903 Cornell Rd, Agoura Hills, CA 91301 – As its name implies, Paramount Ranch used to be an old movie ranch bu it’s also the namesake of the race track contained within, part of which is still there, where greats such as Dan Gurney and John von Neumann raced. And the old western movie town is there too! Admission is free. The Nethercutt Collection: 15151 Bledsoe Street Sylmar, CA 91342 – One of the lesser-known, but nevertheless impressive, collections, the Nethercutt houses over 250 American and European vehicles ranging from 1898 through 1997 with a focus on Art Deco-era cars as well as a massive, Hudson-type 4-6-4 locomotive on the grounds. Admission is free. Newcomb’s Ranch: Angeles Crest Highway 2, La Cañada Flintridge, CA 91011 – A pit stop on the way up, or down, Angeles Crest Highway, on weekends it’s packed full of drivers and bikers ravenous from attempting to tame one of SoCal’s most famed and accessible mountain roads. Irwindale Speedway: 500 Speedway Dr, Irwindale, CA 91706 – While not a major stop on the IRL, NASCAR or F1 calendar, Irwindale boasts two ovals (a half mile and third mile), and eighth mile drag-strip. 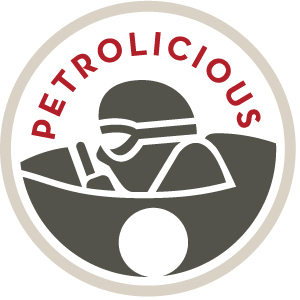 The competition, classes, and racers vary and include the occasional Petrolicious writer. Angeles Crest Highway: La Cañada Flintridge – Simply head north from Interstate 210 and hold on! As soon as you pass the last residential development you enter a sharp ninety-degree left-hander that immediately sweeps into a right hander and then back into an almost ninety-degree left again! The road begins at about 1500ft above sea level and summits over 7900ft above sea level so it features plenty of elevation changes over its sixty-six mile length and terminates at SR-138 just northeast of Wrightwood. It’s so epic that it has its own Wikipedia entry, here. Warning: ice and snow may be present into the spring months, even when warm. Glendora Mountain Road: Glendora – Beginning in the quiet, suburban town of Glendora, this road cuts north and almost immediately throws seven hairpin turns at you. As you climb higher and higher towards Mt. Baldy the fun continues terminating in a quick loop around the TV towers. Want a different path down? Take Mt. Baldy Road (although it’s much easier). Warning: ice and snow may be present into the spring months, even when warm. 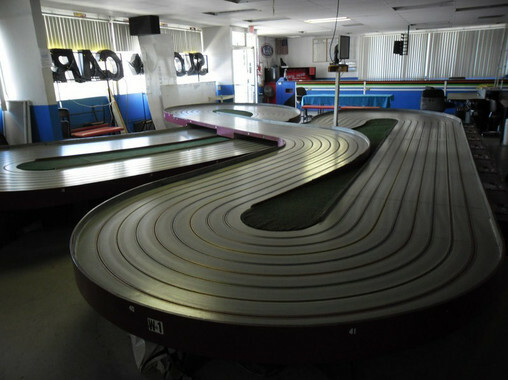 Buena Park Raceway: 6161 Lincoln Ave, Buena Park, CA 90620 – Anyone could just show up and have a shot at winning here. Why? It’s a slot car track! Featuring a 155 foot track and a well-stocked store, they have everything you need to try out a [slightly] cheaper form of racing or get back into the hobby. Palos Verdes Drive East: Rancho Palos Verdes – The only reason to drive this road as opposed to the aforementioned Malibu Canyons, San Gabriel Mountains or Outer Los Angeles roads (below) is becuase you’re stuck in the South Bay and need to drive the twisties. Which is not to say that it is a bad road, it’s just short. It’s still fun, but only if you have no alternatives, time-wise, and happen to be close by. Adams Motorsports Park: 5292 24th St, Riverside, CA 92509 – Established in 1959, it’s been Southern California’s home for kart racing and is the longest continuously running kart racing facility in the world. The road course also features drifting, time attack, motorcycle, and mini-moto/pocket bike racing. 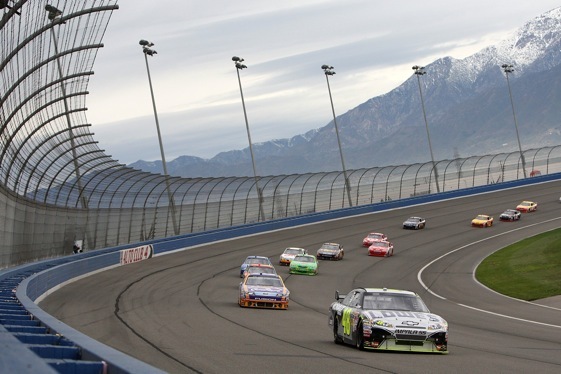 Auto Club Speedway: 9300 Cherry Ave, Fontana, CA 92335 – This is SoCal’s BIG track. It features a variety of layouts from D-oval to road circuit and if there’s a big race in Los Angeles, chances are this is where it’s held. Donut Derelicts: 9015 Adams Ave, Huntington Beach, CA 92646 – Celebrating American horsepower and hot rod culture since 1984, this Saturday morning ritual regularly features dozens of hot rods. But get there early (between 7AM and 8AM is the prime time) and drive something American. Cars & Coffee: 3 Glen Bell Way, Irvine, CA 92618 – This is Donut Derelicts’ more refined, bigger cousin. 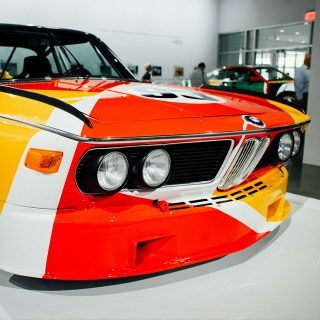 Also held early on Saturday mornings, Cars & Coffee is simultaneously more inclusive, welcoming all kinds of interesting cars and exclusive–this is the spot to see the newest hypercar or best vintage sports cars. Police are usually on hand to freely distribute citations to people performing burnouts, etc. so drive conservatively, at least until you’re around the corner. Hemet to Banning: The first part of this drive covers about twenty-two miles. Head east on CA-74 and then turn left on CA-243 towards Idyllwild. From Idyllwild, continue north along CA-243 for another approximately twenty-five miles to Banning. The scenery is pretty impressive, but the amount of curves make it difficult to sight-see. It also features a lot of elevation changes. Warning: ice and snow may be present into the spring months, even when warm. 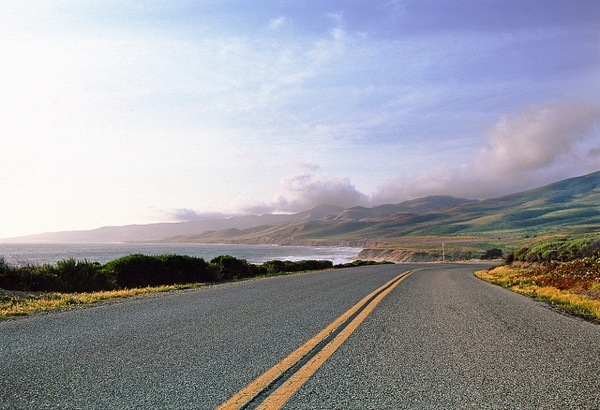 Ride to the Sea (Jalama Road): Lompoc – Jalama Road begins about six miles south of Lompoc, CA off of Route 1. Once on the road, head west for fourteen miles and the road will dead-end at Jalama Beach County Park. This road is full of gentle curves from start to finish but a few that are much tighter. There are also a lot of elevation changes and even though the pavement is poor in some spots, the road goes practically nowhere and hence traffic is fairly light. Most of the road is in good shape though. Ortega Hwy 74 to Lake Elsinore: This thirty-two mile drive takes you through the Cleveland National Forest between San Juan Capistrano, CA and to Lake Elsinore, CA. You’ll pass through amazing mountain/valley scenery as you make your way through the forest. When you finally reach the summit, near the end of the drive, you’ll enjoy a breathtaking view of Mt. Elsinore as CA-74 sits thousands of feet above the lake and its valley. 74 then quickly descends down to the lake and town. Warning: ice and snow may be present into the spring months, even when warm. Ortega Hwy 74 from Hemet to Indian Wells: In Hemet, get on CA-74 and head east all the way into Indian Wells, about fifty miles. 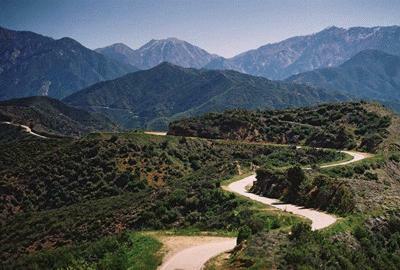 The road features wonderful scenery, with pine forest on the Hemet side transitioning to desert on the Indian Wells side. Just note that services aren’t very common but there are nice hiking trails and camping. Warning: ice and snow may be present into the spring months, even when warm. Santa Paula to Ojai to Carpinteria: Ventura County – It’s a tree lined road, that passes by a river, then through the mountains, and out to a beautiful valley. It features twists much of the way from start to finish. There are also many views of Lake Casitas on the way! Take CA-126 east to Santa Paula and then take the CA-150 off-ramp to Ojai. Continue following CA-150 until it joins with CA-33 in Ojai. 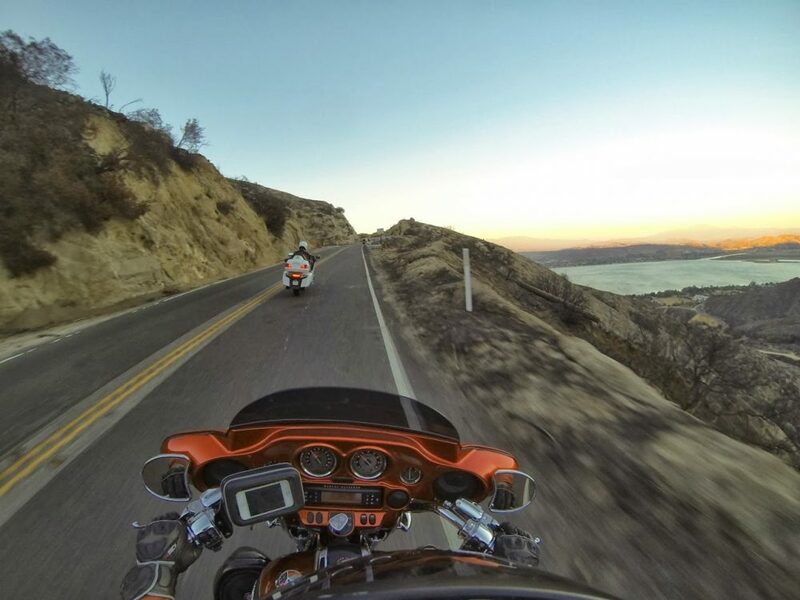 Stay on CA-150 and follow it through the hills, past Lake Casitas where it ends on the 101 freeway in Carpinteria. 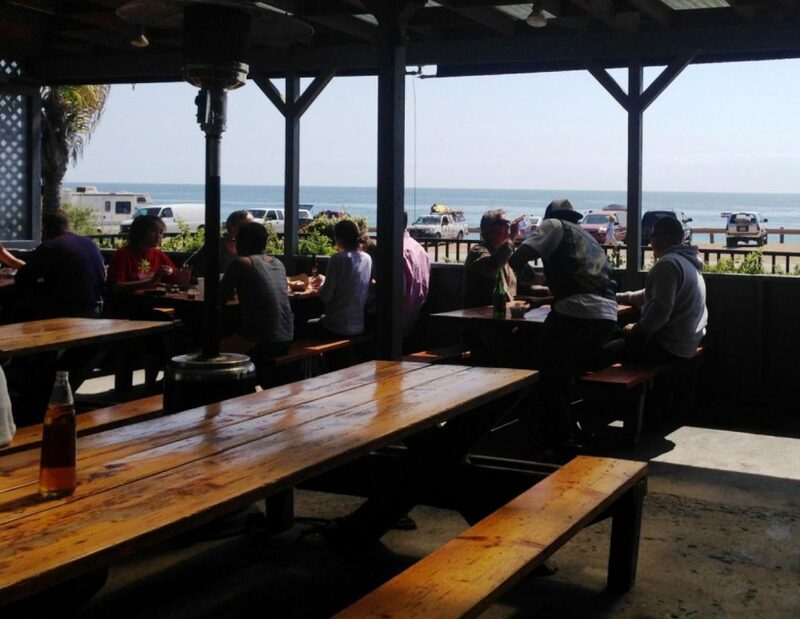 Take the 101 freeway south to LA or head into Carpinteria for some nice beach town grub. This is great, would love to see something similar for the Bay Area. A couple of things, Cars & Coffee is now in Aliso Viejo, the legendary Irvine gathering got shut down. Also, the Marconi Museum is a great spot to visit, free of charge and has an eclectic collection. Is there anything like this in ny? Don’t forget the NHRA Museum in Pomona [http://www.museum.nhra.com/]. Bring a towel, expect a lot of drooling. For the San Gabriel Valley, you’ll probably want to add the Justice Brothers Collection, in Duarte, close to the intersection of the 210 and 605 Freeways. It’s in the renovated building that used to house the Otis Chandler Collection. Great list! I just want to offer one correction. The location of Deus Ex Machina was a flower shop previously, not a gas station. If you’re taking that drive from Santa Paula to Carpenteria, forget about the 150 to the 101. Just stay on the 33 through the Los Padres National Forest. Once you’re past Wheeler Gorge the road is nearly empty (especially compared to Malibu), lots of fast sweeping twists, lots of lupines right now and a strait view of the Channel Islands. These are some of the most intriguing spot to hit up. I’m actually heading down to Laguna Seca for a Mazda event this September, now I really hate myself for not having the extra budget/time to head down to LA. Argh! Well, at least I’ll get to drive the Pacific Coastal Hwy. Nonetheless, this article is bookmarked for future references! Thanks for posting such an elaborate petrohead’s guide for us! Anyone driving the Ortega Highway (which runs, approximately, from San Juan Capistrano to Lake Elsinore) should allow some extra time for a run up to the Palomar Observatory. 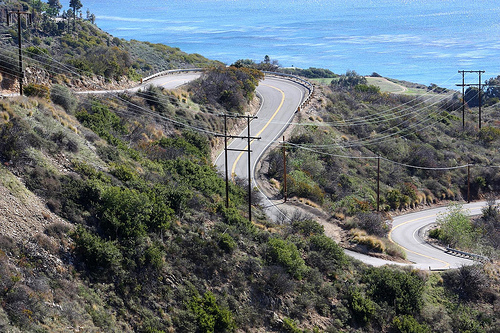 Considered by some to be the most technical road in Southern California, it’s a helluva drive. Plus, there’s a cool giant telescope at the top of the hill. Thanks a lot for this! Don’t forget to visit Iron & Resin 324 E. Main St. Ventura, who are vintage bikes lovers. As Eric says : Could you do the same with Frisco ?? It’d be great ! Great list – thanks for publishing this. I’ve never been but seems worthwhile to visit. How can I get this company [url=”http://regencycarrentals.com”]Regencycarrentals.com [/url] on this list? They offer [url=”http://regencycarrentals.com”]luxury, exotic and classic cars for rent in the Los Angeles[/url] area and surrounding cities. This is AMAZING. Please do the SF Bay Area next!